An HVAC system is responsible for providing temperature control, but it also plays a role in cleaning the air. Within the HVAC is an air filter designed to remove floating particles from the air circulating through the system. When this air filter becomes dirty, the filter removes fewer contaminants from the indoor air. A dirty filter also reduces the overall airflow, which can further hurt the indoor air quality. 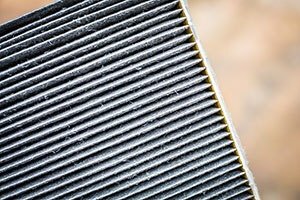 Replacing the filter every few months is a good way to ensure the air filter can do its job to clean the air. Mother Nature has natural air cleaners that can remove chemicals and toxins from the air. There are so many different types of plants that can fulfill this duty, such as the spider plant, so anyone can find a plant that fits their office setting or décor. There’s also the added bonus of adding color to the office area and sprucing it up. Outdoor air is often cleaner than indoor air. However, this is not always the case, especially in areas with a lot of outdoor pollution from machines and vehicles. Additionally, pollen from the outside can hurt the overall indoor air quality and put further strain on the HVAC’s air filter. An HVAC system cannot clean the indoor air unless it has air flowing through the ductwork. And the more air that flows indoors, the better the HVAC air filter can clean more of the indoor air. As a result, it’s important to have as much indoor airflow as possible. You can do this by keeping doors open, vents clear and the HVAC air filter clean. To learn more about maximizing your business’s heating and air conditioning system, contact our expert team at Wilson Refrigeration and A/C Service today.